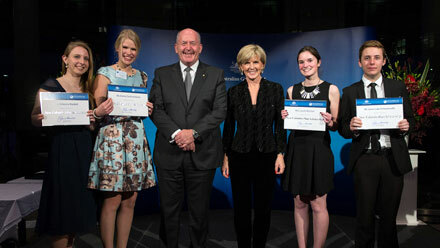 PICTURED: Foreign Affairs Minister Julie Bishop, Governor General Peter Cosgrove, and students involved in the Colombo Plan exchange program. TTN note: TTN does not generally publish press releases. 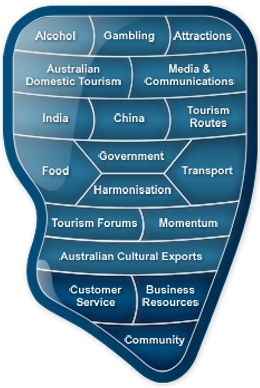 There is no further detail as to how the Colombo Plan will affect tourism, but TTN (Australian Voice For Tourism) believe there are many great benefits for tourism within frameworks of future Colombo Plan actions. Today I am pleased to announce that all ten member states of the Association of Southeast Asian Nations (ASEAN) have agreed to participate in the New Colombo Plan from 2015. A pilot phase of the New Colombo Plan commenced in January 2014 and included two ASEAN members – Indonesia and Singapore – along with two other pilot locations, Japan and Hong Kong. More than 1300 Australian undergraduate students are being supported to study in the region under the New Colombo Plan’s pilot phase, and over half are heading to Southeast Asian learning institutions. Given the long history of cooperation and close ties between ASEAN members, it is appropriate that young Australianswill now have greater opportunities to learn from our Southeast Asian neighbours. There are many world class and emerging universities in Southeast Asia, and Australian universities and undergraduates will increasingly build linkages with them. From the 1950s to the mid-1980s, the original Colombo Plan brought tens of thousands of students from Southeast Asia to train and study in Australia. Today, the Australian Government wants to encourage a new generation of Australians to experience more regional cultures, languages, and ways of doing business through the New Colombo Plan. The Australian Government has announced $100 million over five years of funding for the New Colombo Plan. The New Colombo Plan is a signature initiative of the Australian Government which aims to lift knowledge of the Indo Pacific in Australia by supporting Australian undergraduates to study and undertake internships in the region. The New Colombo Plan involves a scholarships program for study of up to one year and internships or mentorships, and a flexible mobility grants program for both short and longer-term study, internships, mentorships, practicums and research. The New Colombo Plan is intended to be transformational, deepening Australia’s relationships in the region, both at the individual level and through expanding university, business and other stakeholder links. It will encourage a two-way flow of students with the region, complementing the thousands of students from the region coming to Australia to study each year. Over time, the Australian Government wants to see study in the Indo Pacific region become a rite of passage for Australian undergraduate students, and as an endeavour that is highly valued across the Australian community. The Australian Government has committed $100 million over five years to the New Colombo Plan. A 2014 pilot phase is currently underway, supporting around 1300 mobility program students and forty scholarship holders to study in four pilot locations – Indonesia, Japan, Singapore and Hong Kong. Next year the New Colombo Plan will be implemented across the Indo-Pacific. A close partnership between governments, universities and business will support the realisation of this important initiative.